One degree man. 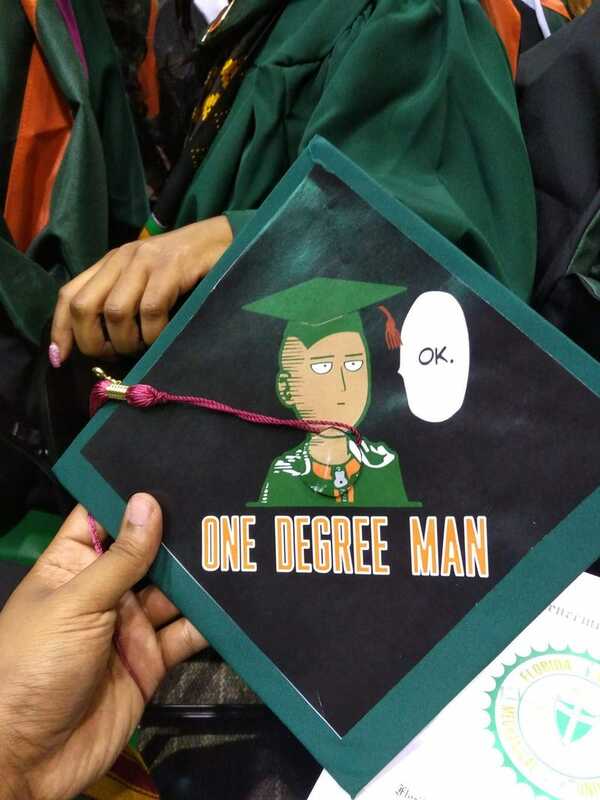 Kotaku reader and anime fan Donovan Harrell just graduated from Florida A&M University’s School of Journalism and Graphic Communication. He has the mortarboard to prove it!